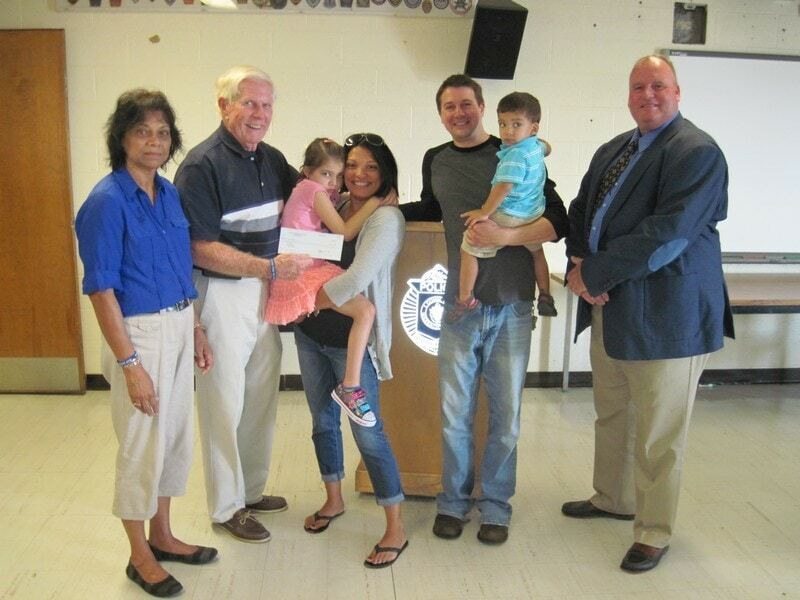 On Wednesday, July 9, 2014, Cops For Kids With Cancer went to the Brockton Police Department and made a $5,000.00 to the family of Kailyn Hewitt a 5 year old girl from Brockton, who has brain cancer. In photo left to right, grandnother Ismey, Bob Faherty, Kailyn, Mother Aliso, Father Mike, Brother Logan and acting Chief Lieut. John Crowley.